The Bethesda’s E3 2018 conference has concluded. Check out all the announcements, trailers, and games from the showcase. After a performance from artist Andrew W.K., Tim Willits and Magnus Nedfors detailed a few things regarding Rage 2. The Avalanche Studios and id Software teams have been working hard to bring, to quote Magnus, “the most intense open-world game ever made.” You will be navigating this seamless open world as Walker, the Last Ranger, driving any vehicle you can find to take out the Authority. Along with it came a brand new story trailer. 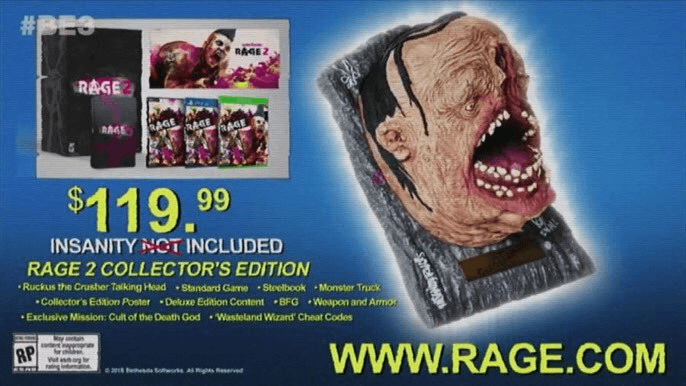 Also announced is a collector’s edition, featuring a mutilated talking head you can hang on your wall. This edition can be yours for $119.99. Apple declared Elder Scrolls: Legends as “mobile’s greatest game 2017,” and announced tonight is that Legends will be coming to PS4 and Xbox later in the year. There’s no need to wait, though, as all progress made through mobile and PC versions of the game will be transferred to your console version. Fans of the Elder Scrolls MMO will finally have more depth added to the lore behind the Argonians and the Blackwater Marshes later this year. Not much more on this was indicated past the teaser statement made on stage, so stay tuned for more info on ESO as it comes in. Hot off the presses is a brand new trailer for Doom’s new sequel under the name Doom: Eternal. Marty Stratton and Hugo Martin provided very little on the game outside the fact that there’ll be double the demons in the game. More info and a gameplay debut will be presented at Quakecon later this year. For now, take a look at the preview trailer for Doom: Eternal. To commemorate the one-year anniversary of the launch of Prey, the development team is launching New Game+ and Survivor Mode as of right now, free and ready to download. On top of that, a new DLC, called Mooncrash, also launched, featuring a new mode where you will have to survive a random enemy generation, making every attempt at the game mode unique. But that’s not all! Typhon Hunter is set to come later this year, where you are pitted against five other players who take on the roles of mimics. Pete Hines also mentioned that Typhon Hunter will be able to be played entirely in VR as it arrives. Jens Matthies and Jerk Gustafsson announced that the newest entry in the franchise, Wolfenstein: Youngblood, placed in 80s Paris. You will take part in the resistance there, playing as BJ Blazkowicz’s two twin daughters as they take on the fight. Along with the announcement cane a preview trailer for this upcoming project. Pete Hines also teased a brand new Wolfenstein VR experience set to come later on, with nothing more than the announcement that came with his declaration. Announced at E3 earlier, Todd Howard takes the time to detail a few more things on the game, which is a prequel to all other Fallout games to date. You are a tricentennial, or rather one of a few people chosen to live in the vault in a test-subject way for 20 years before Vault 76 will be officially opened. The world is set to have new rendering and detail quality, said to be sixteen times greater graphical fidelity than Fallout 4. Brand new creatures are coming to the game as well, and the team was sure to detail their creatures into the existing folklore and settings that are actually based in West Virginia, the setting of the game. To top it off on that subject, all characters in the game will be a real person. In fact, Fallout 76 will be a completely multiplayer game. Detailed as “softcore survival,” Fallout 76 will have access to different servers with no real indication that you’re in any specific server, further immersing you in the multiplayer world. Todd also said that you can jump into other people’s worlds and bring your progression along with you. There will also be multiple nuclear launch sites sprinkled throughout the world, and it’s up to you and everyone else playing the game to use them as you see fit. To top it all off, Todd stated that all servers will be dedicated to the game and will be live for years to come. Multiple times through the presentation, Todd made sure to mention that the entire game can still be played single player, but he directed that the best way to play will be with other people. There was plenty of video content included as well, so be sure to check out those trailers below. Announced with another fallout of information on new Bethesda title Fallout 76 is the release date. Much like the announcement of Fallout 4, Fallout 76 is set to release in the same year as its announcement. The date is set for Nov 17, 2018. Teasing us with Bethesda’s vision beyond this coming year, Todd Howard released a short trailer for a brand new, next-generation single player game, called Starfield. This will be Bethesda’s first original franchise in 25 years, and it will include a brand new engine to facilitate this official shift to next generations. Apart from the trailer, nothing else was mentioned on the project, so be sure to check out the short-but-sweet trailer below. 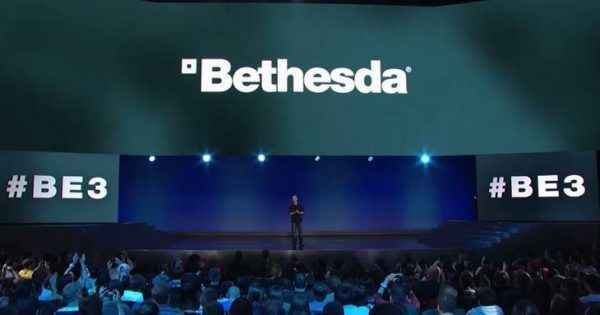 Todd Howard was sure to end the Bethesda E3 presentation with a short clip that stretched out across a mountainous landscape, titled simply as “Elder Scrolls 6.” From the way Todd presented it, Starfield is indicated as the first taste of what this engine will provide for when development starts for Elder Scrolls 6 in the future. This announcement has been a long time coming, slated sometime after Starfield, but for now, check out the short teaser trailer for Elder Scrolls 6. Our Bethesda E3 2018 Predictions – Did We Get Any Right? The Bethesda E3 Showcase 2018 is coming! The publishing giant has announced it will be held in Los Angeles June 10 at 6.30pm PST/9.30pm ET or 2.30am BST (June 11). You can watch the Bethesda E3 2018 live stream below. Past Bethesda showcases have revealed the likes of Fallout 4, Prey, and Wolfenstein II, so what could possibly be on the agenda this time around? Bethesda clearly has at least a couple of big things to show if it’s bothering to do its own showcase again. We had a quick think and came up with a few ideas/hopes. Just after the announcement of Bethesda’s E3 2018 showcase, the Prey Twitter account tweeted this out. Oddly cryptic to just be a casual tweet, so we can naturally assume Prey will get some fresh action at the press conference. A sequel seems unlikely so soon, but given the side story/standalone expansion route Arkane went with Dishonored: Death of the Outsider, it’s possible Prey will get the same treatment. The moon as a setting does fit in with some of the lore found in Prey’s Talos-I space station too. 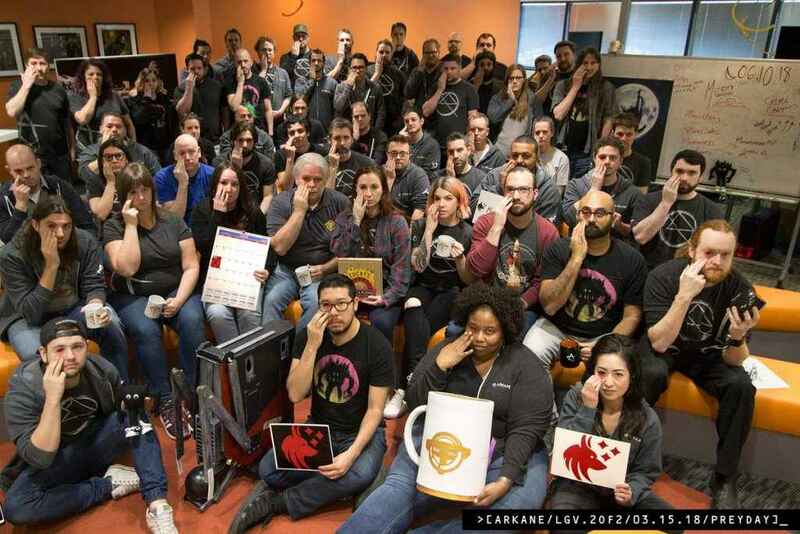 On 15/3/18, The Prey team sent a new tweet out, featuring Arkane’s staff showing off red eyes, that has the date of Bethesda E3 2018 in the top corner. Right next to an obscured bit of Prey artwork that features the Moon in it. Bethesda E3 2018 team teases Prey 2. Prey is surely a dead cert for Bethesda E3 2018 now. Starfield is a name that frequently jumps up in recent times whenever a publisher can showcase video games onstage somewhere. It’s supposed to be Bethesda Games Studio’s big new IP away from The Elder Scrolls. It’s believed to be a space-set RPG and hugely ambitious, but that is entirely whispers in the dark at this point. Of course, that was the case with Fallout 4 in the years before it finally got announced. Bethesda have supported PSVR pretty well with DOOM VFR and Skyrim VR last year. 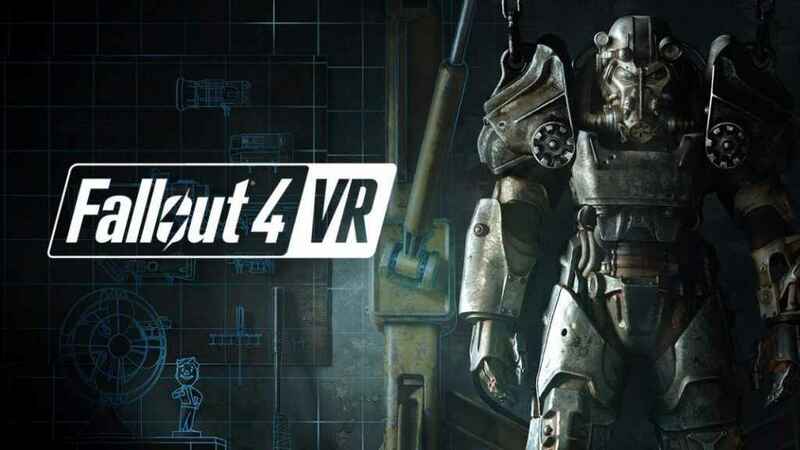 Fallout 4 VR came out on PC last year also and there’s concern that it might be a bridge too far for it to appear on PSVR given it’s a touch fresher than Skyrim. That’s not to say it can’t happen. It doesn’t have to be exactly like the PC version after all. I can’t imagine Bethesda not at least trying to get some form of Fallout on PSVR. Perhaps an older Fallout? Perhaps…Fallout 3? Well, this came out of nowhere. Fallout 76 was revealed after a 24-hour stream of nothingness. Reports suggest it’s not a standard Fallout title, perhaps having some kind of multiplayer component, and will focus more on the survival aspect of the series. Despite a rocky start to life, The Elder Scrolls Online has fought through its troubles to maintain its place at the MMO table. 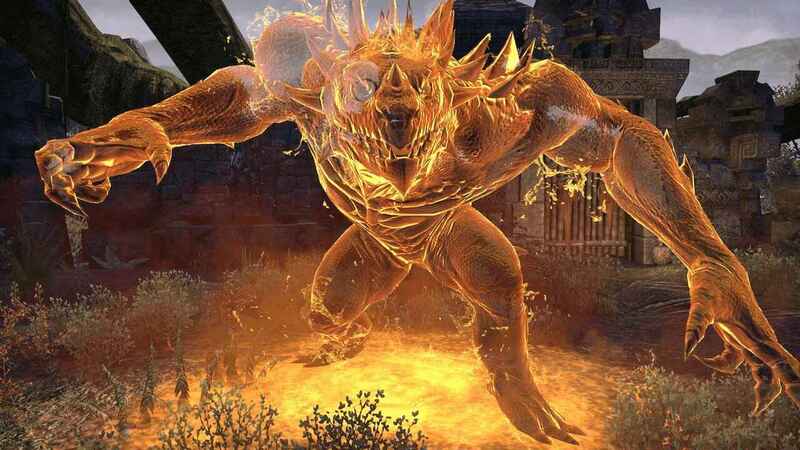 After the huge Morrowind expansion last year, it would have been a good time to get another chunky piece slotted into ESO at the Bethesda E3 Showcase 2018. 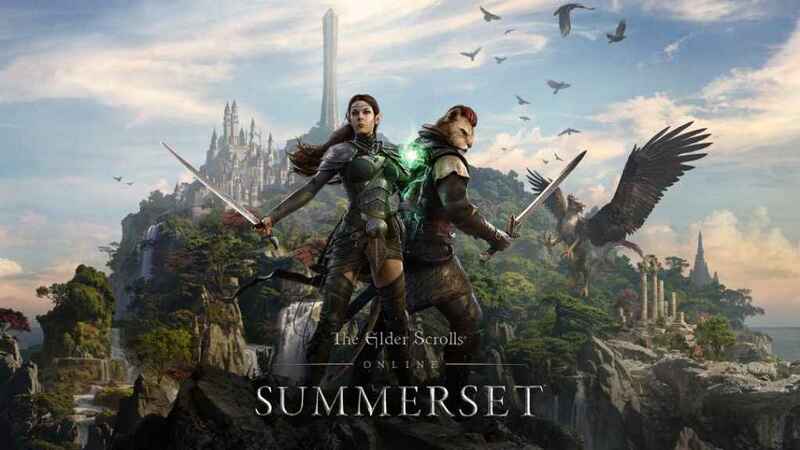 Of course now we know it’s definitely happening, with a return to Summerset Isle being confirmed on March 21 for The Elder Scrolls Online: Summerset. It’s due out June 5 however, just before the Bethesda E3 Showcase 2018. This means that while it won’t be revealed at the showcase now, it will at least be there in trailer form to promote the recent launch. Possibly backed up with some review scores et al if all goes well. You can read our early thoughts on it now though. The DOOM King is in good shape going into this year’s showcase. 2016’s DOOM far exceeded expectations and last year saw the game head to PSVR in a fairly successful fashion. So what are they doing next? DOOM 2 is the obvious pick, and seemingly Bethesda’s Pete Hines is teasing this being the case but could id draw from the well of history to revive another shooter in its library. Quake may be somewhat alive in Quake Champions, but it has been a long time since a truly decent single player Quake game. A return to the classic Gothic horror-styled Quake would be an intriguing prospect. 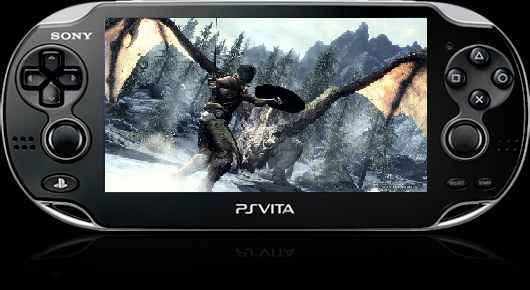 It’s been six and a half years since the initial release of The Elder Scrolls V: Skyrim. That game has come out in so, so many flavors in that time. Hell, two versions alone last year! The big question for at least half a decade has been if that development team are working on The Elder Scrolls VI yet. Fallout 4 managed to keep itself in the shadows despite attempted leaks. So could Bethesda Game Studios just casually throw Elder Scrolls VI at us at Bethesda E3 2018? Gamesradar’s Zoe Delahunty-Knight recently reported on a possible Elder Scrolls VI direction found back in Elder Scrolls III: Morrowind. It’s an interesting theory and not one that is without history to back it up. The question now then is when will Elder Scrolls VI show up? Bethesda noted it has at least two major titles before then, and now one has shown up (Fallout 76). If Starfield is indeed a real thing, it could hold off a new Elder Scrolls for a good while yet. Why not, eh? It’s every-bloody-where else already. What do you hope for at the Bethesda E3 2018? I hope star field comes out so TES VI will be worked on more as a priority. I guess fallout iv for psvr is realisticaly doable with enough optimization, but optimization is Bethesda’s worst enemy :/ I personaly love skyrim vr for the experience itself, but I’ve got to be honest. Everything about it reeks of rushed work and neglect. Especially a shame concidering the potential it actually has. Another Fallout game made with FO4’s same engine, in New Vegas style. Well, Shinji Mikami was only a supervisor on The Evil Within 2, right? I would hope that he’s been working on his own game. I’d also love to see Doom 2.